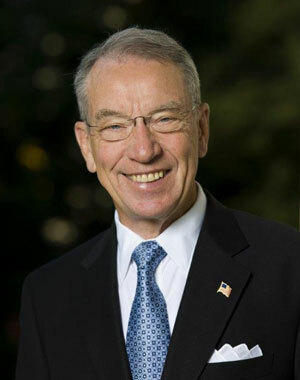 Iowa Senator Chuck Grassley says Iowans who farm and those who produce a host of other products that could have a global marketplace should pay close attention to the pending agreement called the Trans-Pacific Partnership. Grassley, a Republican, says the treaty between the U.S. and 11 other nations is very important to a long list of industries, topped by agriculture. Congress doesn’t have the ability to negotiate deals with other nations, so a number of times since World War Two, Congress has passed Trade Promotion Authority which gives the president the power to broker key trade deals. The Trans-Pacific Partnership is between the U.S. and the following 11 nations: Australia, Brunei, Canada, Chile, Japan, Malaysia, Mexico, New Zealand, Peru, Singapore and Vietnam.